For the first time in its history, the 60th Grammy Awards (Music’s biggest night!) chose to champion comedians over music by airing the Best Comedy Album award, while other actual music awards, like Best R&B, Alternative, Electronic, Latin, Jazz, Metal, Rock, Roots, Album—even the Grammy Award for Best Music Video—received no screen time. These are all genres and styles with huge fan bases and last time I checked, the Grammys are about supposed to be about celebrating music. That’s right, folks: the Recording Academy literally selected jokes over jams at the 2018 Grammys. Trevor Noah, host of Comedy Central’s The Daily Show, mocked the moment at Sunday’s show—“In previous years this award wasn’t presented on TV, I’m assuming because Adele hasn’t put out a comedy album yet”—before awarding Dave Chappelle with the Best Comedy Album Grammy for his 2017 record, Deep in the Heart of Texas: Dave Chappelle Live at Austin City Limits. Noah’s joke underscored that the Grammys, prior to Sunday night, were never invested in comedians—which makes sense, because, again, this is supposed to be a music event. Chappelle didn’t only appear on screen for his acceptance speech: He accompanied Kendrick Lamar and U2's opening performance by adding pithy quips, and he presented Lamar with the Grammy for Best Rap Album later on in the evening. 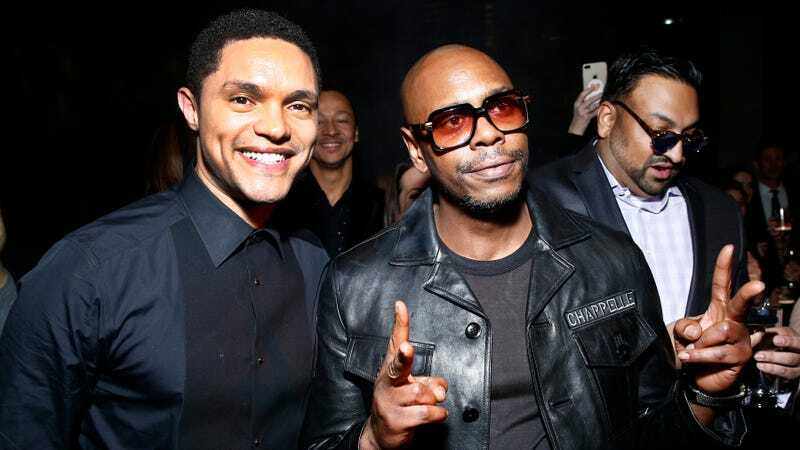 Chappelle’s three Grammy appearances put him in the same company as U2 (in terms of commanding stage time, we saw a lot of both of them) while Rihanna, one of the world’s biggest pop stars, was shown only twice. Perhaps next year some musicians might want try their hand at comedy if they want to have any chance at Grammy stage time. Bleak.